Lowe's To Shutter 51 Underperforming Stores The list includes 20 U.S. locations in 13 different states and the rest are in Canada. Lowe's announced Monday it will close 51 stores in the U.S. and Canada. 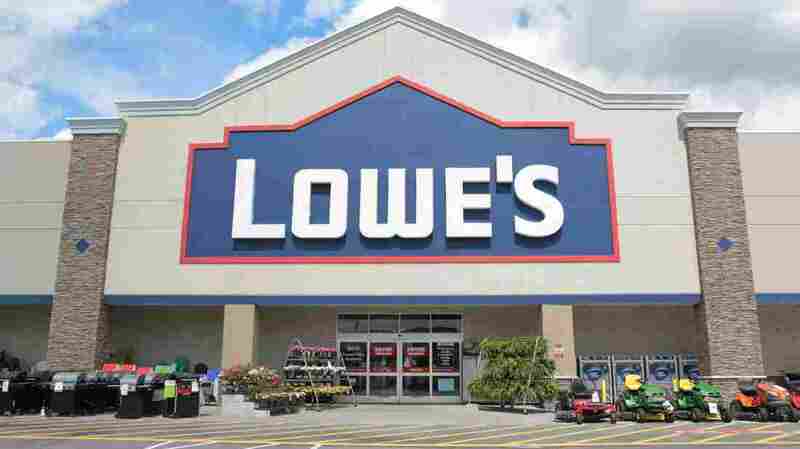 The home improvement retailer Lowe's will be closing 51 locations in the U.S. and Canada, it announced Monday. The company described the stores as underperforming. "The store closures are a necessary step in our strategic reassessment as we focus on building a stronger business," said Marvin Ellison, Lowe's president and CEO. The list included 20 U.S. locations in 13 different states. "We believe our people are the foundation of our business and essential to our future growth, and we are making every effort to transition impacted associates to nearby Lowe's stores," Ellison said. This decision by Ellison is not unprecedented. After leaving J.C. Penney and beginning his tenure as Lowe's CEO in July, he quickly shuttered Orchard Supply Hardware, a chain the company had bought in 2013, NPR's Rebecca Ellis reported. Regarding the most recent cutback, some stores will close immediately and others will wind down operations more gradually, selling off remaining inventory. All the stores on the list are expected to be closed by the end of the company's 2018 fiscal year, which is Feb. 1, 2019.